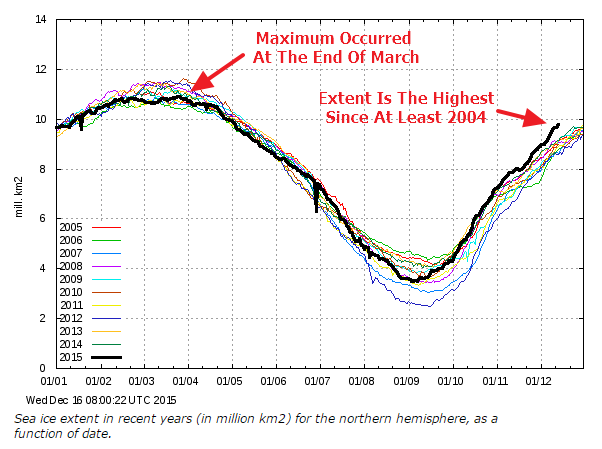 More blatant lies from the warming alarmists. So much for the value of “peer-reviewing’! Political and income agendas over-ride science and honesty. The US weather Bureau reported exactly the same thing in 1922. Seals disappearing and fish being forced northwards. 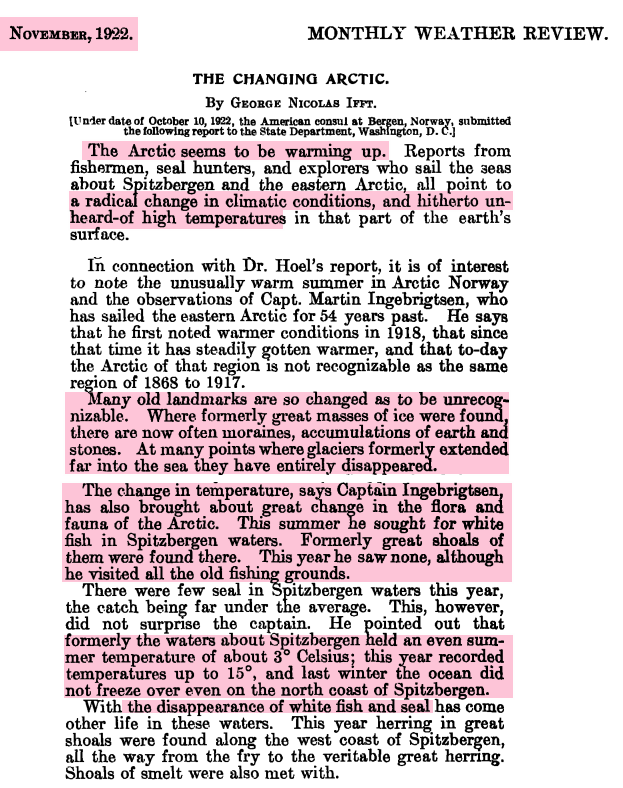 However, in 1922 the reported warming was much larger than 2.3 degrees. 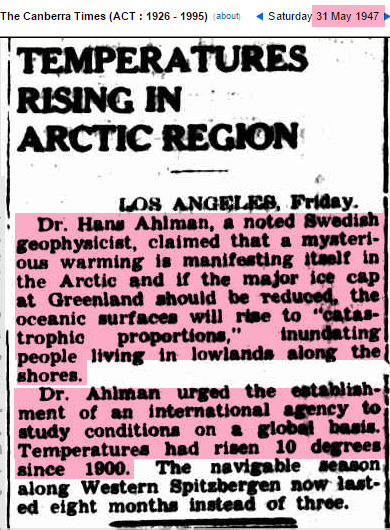 In 1947, scientists reported 10 degrees Arctic warming, much more than the 2.3 degrees reported by Rick Spinrad. 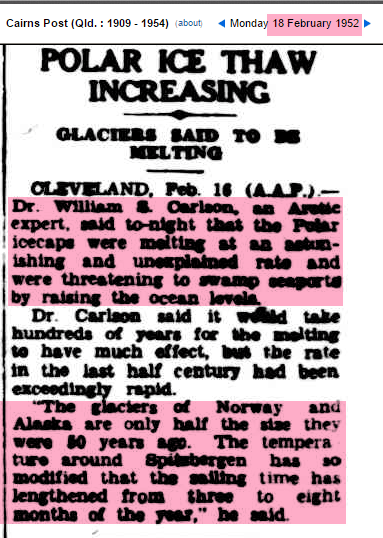 Glaciers were disappearing from Alaska to Norway. 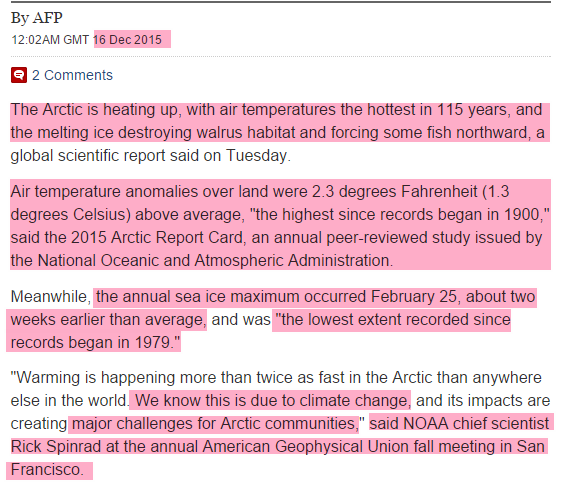 This entry was posted in AGENDA 21, AGW, climate change, Conspiracies, ENVIRONMENT and tagged Carbon dioxide, Climate change, ENVIRONMENT, Ethics, Global warming, Science Integrity. Bookmark the permalink.